Integrating a Google My Business Page (GMB) is vital for accurate Google Local rankings. With Google's increasing move toward all things local for search, it's critical to track where your clients' Google "My Business" pages are ranking in Google Local. Each client campaign dashboard offers the ability track SERPs for an unlimited number of Google "My Business" pages in addition to one URL. If you don't yet have a Google My Business profile setup, you can create one here. In order for us to be able to provide you with accurate Google Local rankings, it is CRUCIAL that you connect a GMB page. 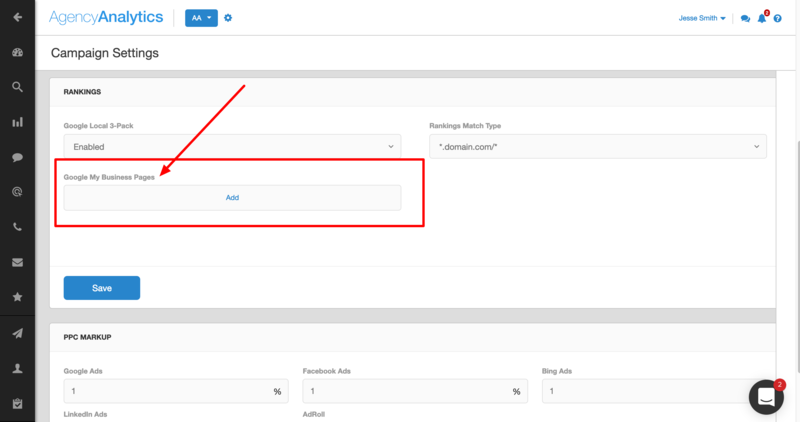 There are two ways to connect multiple GMB Pages. From within a campaign, you can click the Gear Icon at the top of the screen next to the campaign name. On the next screen you will scroll down until you reach the 'Rankings' section. From here, click 'Add' to integrate your GMB Pages. A flyout window will appear. 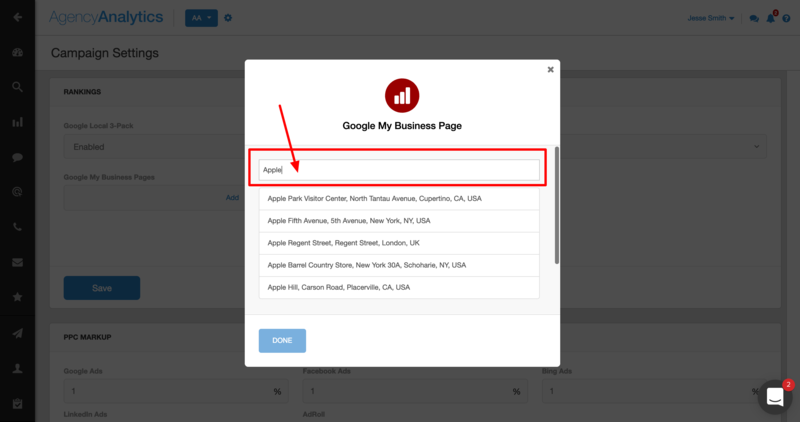 Start typing the name of the business in the "Enter Your Business Name" field. If your desired GMB comes up in the list, click to highlight it, then click "Done". If you do NOT see the desired GMB in the list, you'll need to enter the CID for your GBP manually in that second field labeled "Enter your business's Google CID." Click "Done" when finished. You'll find instructions for locating the CID in this article. Click the "Add" button again to add additional GMB pages. Don't forget to click "Save"! In your Rankings module, click the "settings slider" button, found to the right of the time period selector. Then, about halfway down the "Settings" window, click "Add". 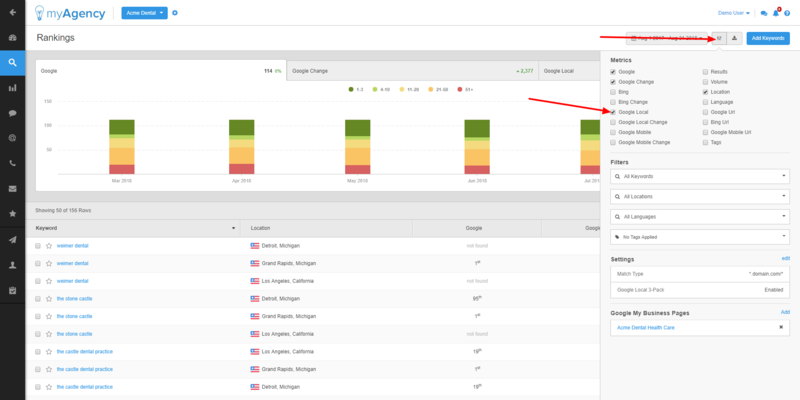 Finally, open the settings slider and tick the box for "Google Local" to actually begin tracking rankings for the GMB page. GMB rankings will then be displayed under the Google Local heading in the rankings table.